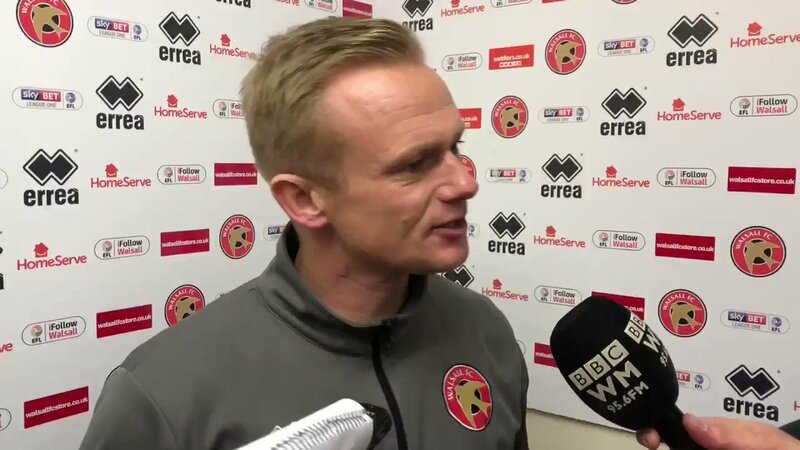 Walsall manager Dean Keates has spoken to the local press following the Saddlers' encouraging three-nil victory over Gillingham, which saw Andy Cook bag his first treble in a Walsall shirt, and praised his side as they controlled the match from start to finish to take three well-deserved points. Speaking via the Express & Star, Dean said; "It's been difficult the past few weeks. But I am absolutely over the moon with them. I thought they were outstanding from start to finish. It was a good, professional performance. "Performance-wise, over the past few weeks, it's not been horrendous. We have been quite close to doing something. We have just not helped ourselves. But I felt every decision we have made defensively was spot on. "It was a full-team effort, Cookie will get the headlines. But as a team performance, it was perfect for us." The gaffer then went on to praise striker Andy Cook, who displayed some of the form which earned him a move to Banks's Stadium over the summer as he notched his thirteenth, fourteenth, and fifteenth goals of the season to firmly establish himself as the Saddlers' main goal-scoring threat. Keates continued; "I have given him a bit of stick because I told him it should be his second hat-trick, he should have got one at Bradford. He scores goals. I knew that when I brought him into the football club. "He works hard, he puts himself about and he gets in people's faces. He does a job for the team that not many people see. But when he gets opportunities he scores goals. "And that is why I bought Matty Jarvis into the football club. You saw what he was about with those crosses."